Contact us today to learn about the latest auto finance offers including lease and finance specials for new Toyota cars, trucks, and SUVs at Family Toyota of Arlington. Our Finance Department will provide assistance to help you find financing options that fit your needs! Whether you have bad credit, no credit, or are a first time car buyer, you can trust that Family Toyota of Arlington will get you into the car or truck you choose with professionalism and attention to your needs. Our trade-in experts at Family Toyota of Arlington will give you the most market-reflective vehicle pricing for your used car, truck, van, or SUV. When you come to Family Toyota of Arlington in search of a new or used vehicle to lease or purchase, you'll always find new Toyota models and used vehicles that you can count on for great prices. Along with this preferable aspect, you can most certainly count on our finance center to ensure you get the most feasible financing plan for your lease or loan that's catered specifically to your budget. Family Toyota of Arlington provides one of the best financial services for all their customers! In addition to quality luxurious cars, you’ll receive the best financing options possible. If you're looking to receive financial aid when purchasing a new or used car, fill out a secure finance application online, and you'll receive your personalized loan. The Credit Estimator application can determine what your credit score is so you'll have an idea of what your personal loan rates will be. If you have a car you’re looking to trade, Family Toyota of Arlington will have it appraised and give to the best resale value to help offset the cost of your new car. Whether you’re looking to purchase a new Toyota, a used or certified pre-owned Toyota, or lease a Toyota, Family Toyota of Arlington will work with you to ensure that you have everything you need to find the proper financing for your car and create a win-win situation. Whether you have good, bad, poor, no credit or a first-time car purchaser, Family Toyota of Arlington is here to serve you the best financial assistance care. Family Toyota of Arlington will never turn you away from any vehicle financing. At Family Toyota of Arlington you're satisfaction is their top priority. 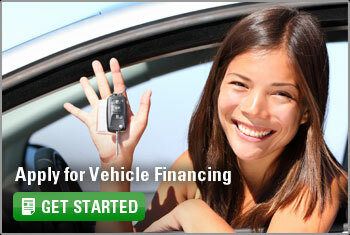 When it comes to shopping for an auto loan and vehicle financing, you’ll receive the best advice from the dealership. At Family Toyota of Arlington, you’re considered valuable to the relationship and they will stop at nothing to ensure you get what you need. Family Toyota of Arlington will provide one of the best customer services with car sales you have ever experienced. Family Toyota of Arlington is located at 801 S. Arlington Blvd. in Arlington, TX and serves the following cities: Fort Worth, Arlington, Weatherford, Crowley, and Mansfield, TX. Our team will work harder than any of our competition to get you the best financing solution so that you can get right out on the road and carry on with your daily life, hopefully with a little more added excitement thanks to your thrilling new vehicle. Please come on by our dealership here in Arlington and we'll make sure to help you find the vehicle that's most suited to you as well as send you off with a financing plan you won’t lose sleep over.